Tranceonic is the duo of Carlos Perón and Boris Blank of Yello who met in 1971 in their hometown of Zürich, Switzerland. At this time Carlos studied Free Jazz while Boris listened to bands like Pink Floyd and Queen. The two bonded over a conversation about The Mahavishnu Orchestra album ‘The Inner Mounting Flame’ and became musical friends. From 1973 to 1976 they played in the New Wave group Urland. After the split of the group Perón founded the Tranceonic studio with his equipment in his private flat. Carlos invited Boris over to his studio and a concentrated work began. The idea was to make experimental new music with the hopes of having a hit in the United States. Everybody at this time was into punk, but Tranceonic loved industrial and electronic sounds. Their foresight and innovation created new ideas. Perón and Blank made electronic avant-garde music informed by the Berlin and Cologne schools. By 1978 the two had enough material to record an album and made a trip to San Francisco to visit Ralph Records. The Residents promised to release the music if the duo removed all the tape hiss, which never materialized. 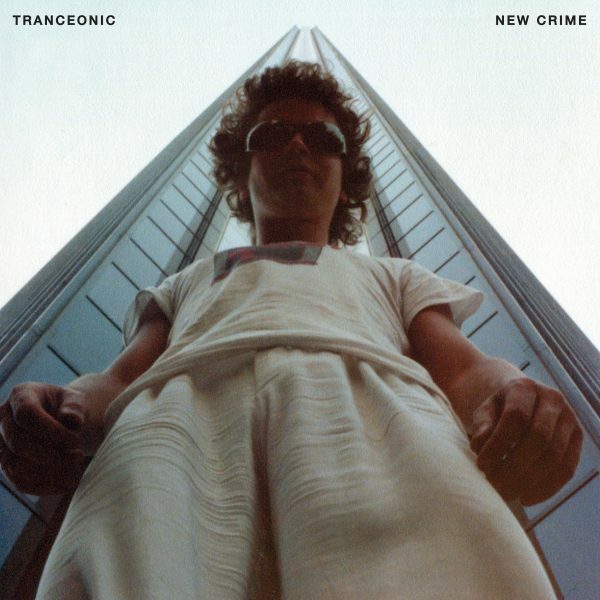 ‘New Crime’ is the first ever vinyl compilation of material produced, recorded, performed and mixed at Tranceonic Studio between 1976-1979. The equipment set up at the studio included a Farfisa Synth Orchestra, WERSI string ensemble, ARP Odyssey with Sequencer, ARP Quadra, Roland SH 3A, CR-78, Space Echo and Korg Minipops 120P and many effect boxes normally used for guitars. Samples were self-recorded using a Revox cassette deck and turntables. 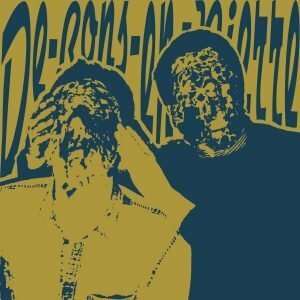 Blank and Perón experimented with manipulated tape loops, echo effects and snippets of found sounds. Blank also explored foreign near-equator exotics playing Arabesque percussion and a homemade bamboo flute. Perón experimented with CV triggering and dubbing super 8 film effects from vinyl. Both members took turns singing Carlos’ lyrics. 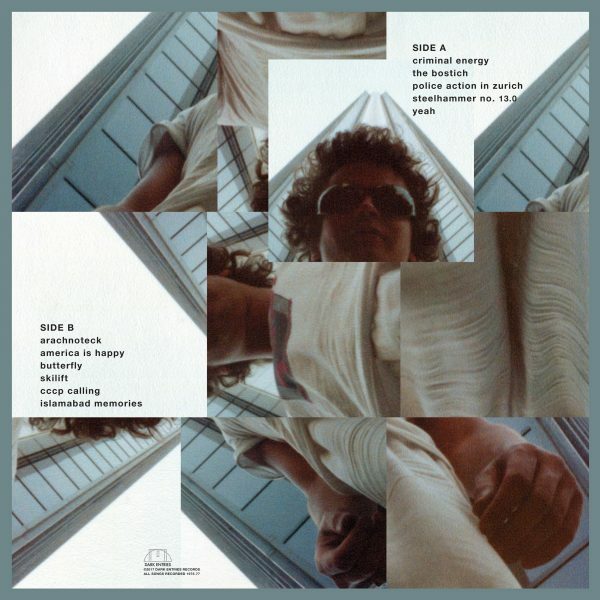 Stylistically the songs anticipate the feeling of Yello’s ‘Solid Pleasure’ album and included here is the first instrumental mix of “Bostich”. All songs have been remastered by George Horn at Fantasy Studios in Berkeley. Cover artwork features a photo of Carlos in Los Angeles taken by Boris in 1978 and design by Maycec. Each copy includes an insert featuring photos and liner notes by Carlos Perón.